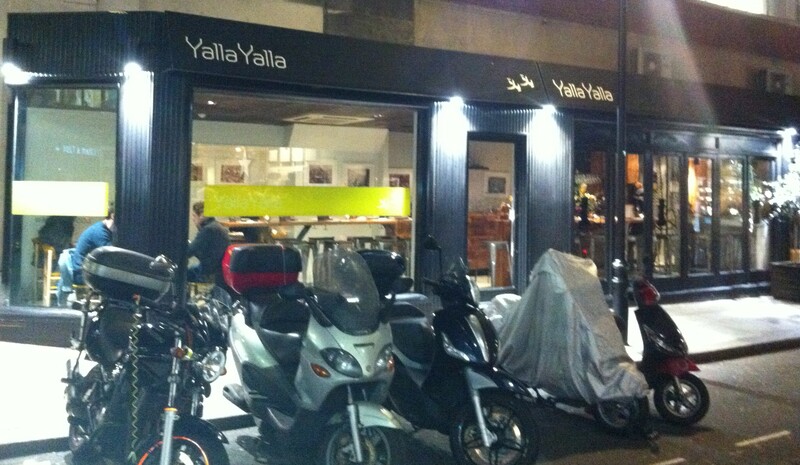 Yalla Yalla | Restaurants of the World Unite! Put Lebanon up on the The Big Board! This highlights a bit of problem for my quest as I’m told Lebanese food is basically where it’s at for large swathes of the Middle East. Haven’t found a Saudi Arabian restaurant and when I was in the UAE there wasn’t really a local cuisine that I could find. I’m going to ignore this problem and hopefully it’ll solve itself. As long as I get to eat camel at some point. 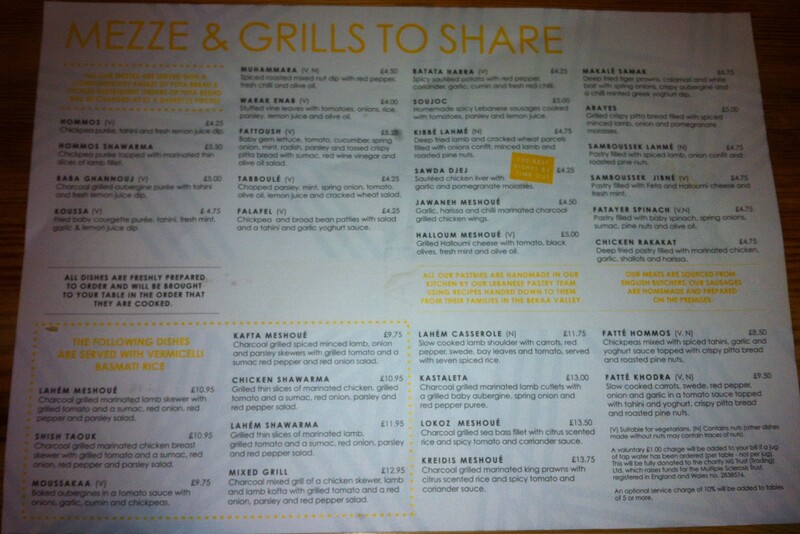 The best thing about Lebanese food is that the names all sound like spells! Shawarma! Muhammara! Halloum Meshoué! Baba Gahnnouj! 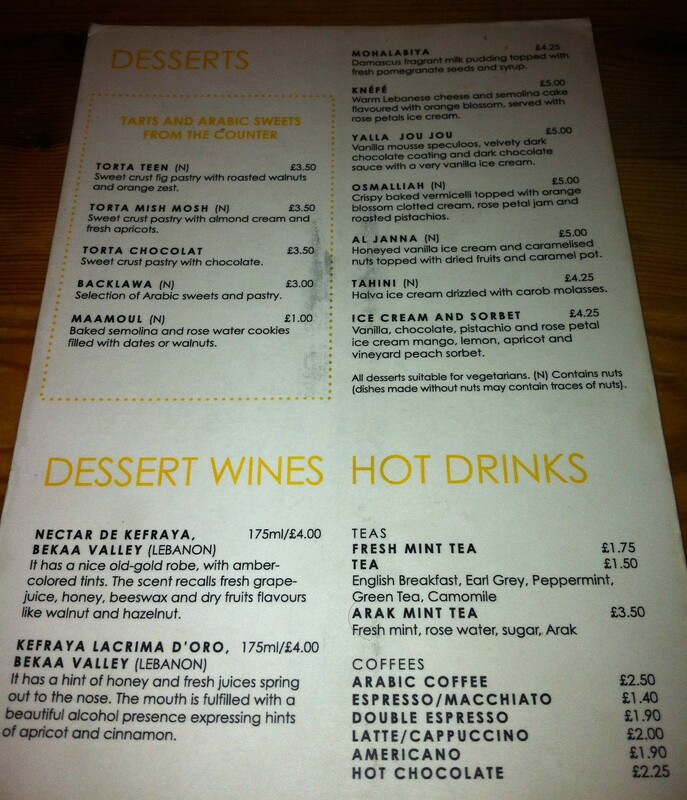 Reading the menu aloud sounds like the Lebanese exchange student doing their homework in the Hufflepuff common room. 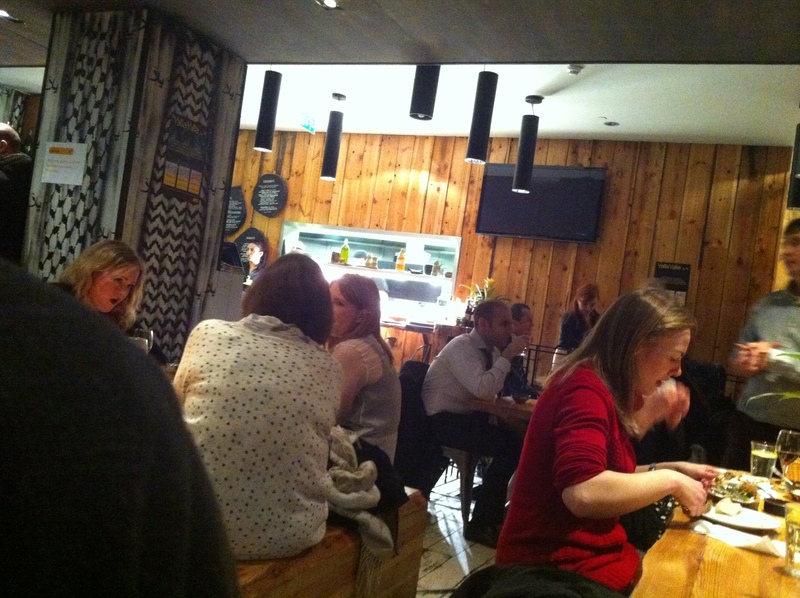 Me, Charlesina and her chum went to Yalla Yalla (http://www.yalla-yalla.co.uk/), the one on Winsley Street. Yalla Yalla (another spell) claims to be street food, same as Pho and a bunch of other places and I guess that’s what you need to do in London to appear authentic, but surely it’s wildly misleading and plain wrong. Just marketing gone toss I guess. The atmos is great, getting lighting and surroundings right again. 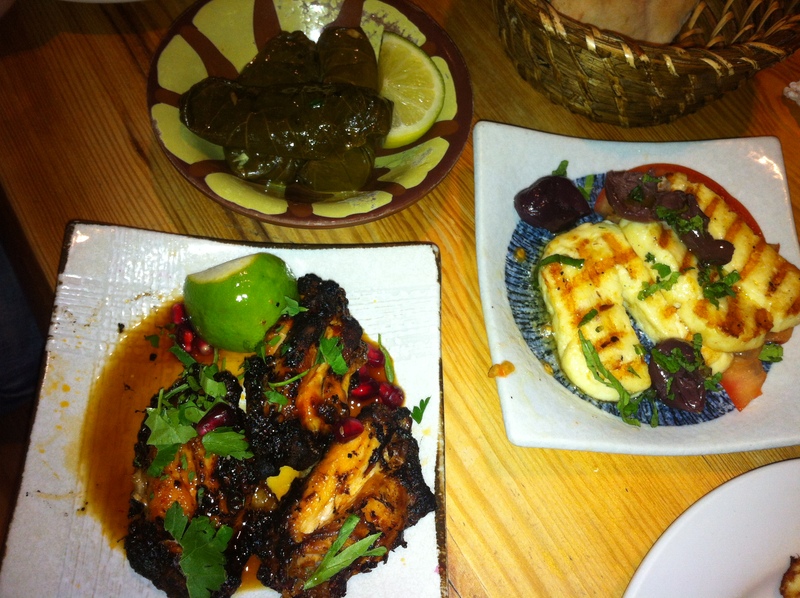 The food likewise – we shared a bunch of meze: Hommos, Warak Enab, Samboussek Jibné. We got there early, but when we left there was a queue – you can’t book apparently – so they must be doing something right. Try the pomegranate lemonade too! Or is it humous? 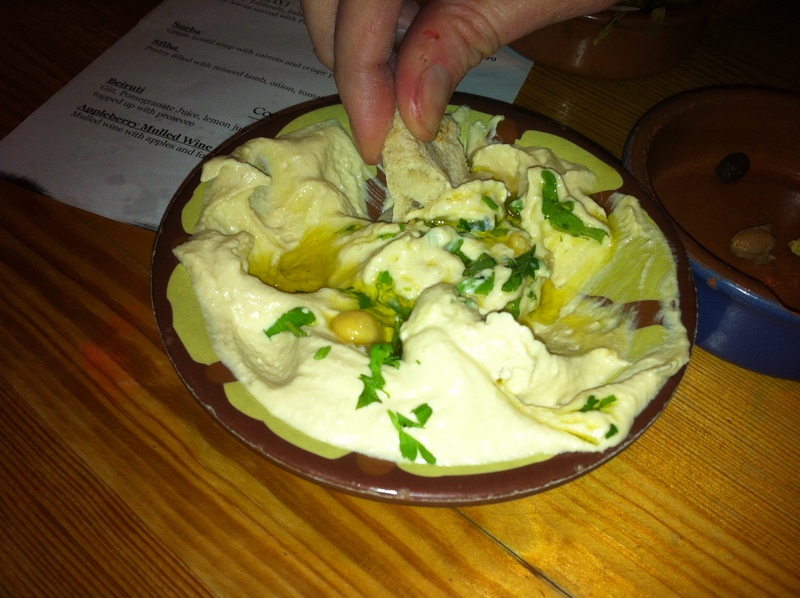 Or hommus? 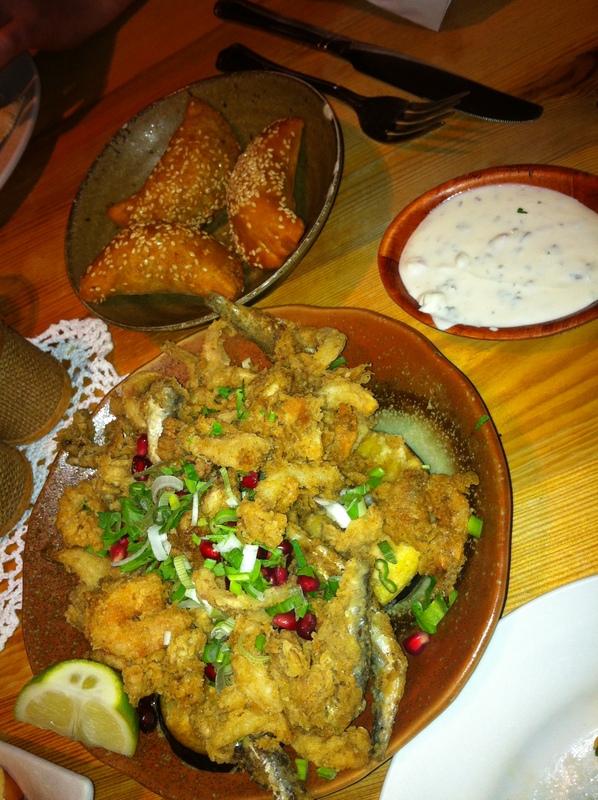 Not the Sawda Djej – one of Time Outs best 100 dishes. Which we studiously avoided.